This Saturday brings four World Cup 2018 matches from Group C and Group D, with France v Australia, Peru v Denmark, Argentina v Iceland and Croatia v Nigeria, all competing for group dominance in their first matches of the tournament. So far, the World Cup games have brought quite a few surprises and score lines that have been very difficult to foresee, such as Portugal 3-3 Spain. France v Australia kicks off at 11:00 am (GMT) or at 12pm (CEST) France’s Antoine Griezmann announced that he’s staying at Atletico Madrid next season ahead of the tournament, in order to put the matter of a move to Barcelona to bed, which is good news for the French, since Griezmann will be focused on the task ahead, as France go into the tournament as one of top four favourites to win the World Cup. Le Bleu are spoilt for choice in their squad, that even the underperforming Paul Pogba isn’t even an issue, with Corentin Tolisso or Blaise Matuidi probably preferred, and Kylian Mbappe may miss the first match with a slight injury, but Barcelona’s Ousmane Dembele is ready to deputize, so Australia are in for a tough match. However, centre back Samuel Umtiti seems doubtful, along with full back Djibril Sidibe, which will be a boost to the Socceroos, that are hoping to cause an upset. Australian veteran attacking midfielder Tim Cahill is hoping to become only the fourth in history to score in four World Cup finals, however, he isn’t likely to start the match, but will be on the bench ready to make an appearance. Australia have vastly improved over the years, but they seriously lack creativity or any fluidity in their side, but Huddersfield’s centre midfielder Aaron Mooy may provide just a glimpse of that, whilst Mile Jedinak will look to provide the bunch crunching tackling onto the French players. On paper, this match should be France running riot, but Australia will look to play defensively in order to frustrate their opponents. This is likely to happen, but France will obviously win, since anything less is definitely an upset. However, France usually start quite slowly in World Cup tournaments. The early evening game at 17:00 (GMT) or 18:00 (CEST) is between Peru v Denmark and it should prove to be a tricky match for the Danes, as this match will be a tight affair, whereas anyone would presume that this will be an easy ride for Denmark. Not so! Peru have some danger men in their side, such as Jefferson Farfan, Andre Carrillo and Paolo Guerrero, the veteran striker Flamengo, who’s just had his cocaine ban overturned in order to play for the nation in the tournament, which is a real big energetic boost for Peru. All these attacking talents for the South American’s make the Denmark frontline look like a bunch of underachieving sleeping giants in comparison. Plus, the Peru team play with pace and hidden skill, all across the pitch, so don’t be surprised if they end up surprising even you. Yes, mediocre at best, is the best way to truly describe Danish strikers Yussuf Poulsen and Martin Braithwaite, who have plied their trade in Europe for years, without any real improvement. However, this excludes the talented Pione Sisto, who’s a real live wire for Celta Vigo and also a real viable talent going forward. Denmark may choose to go with Nicolai Jorgensen up front, which is by far a less exciting option than all the before mentioned strikers. 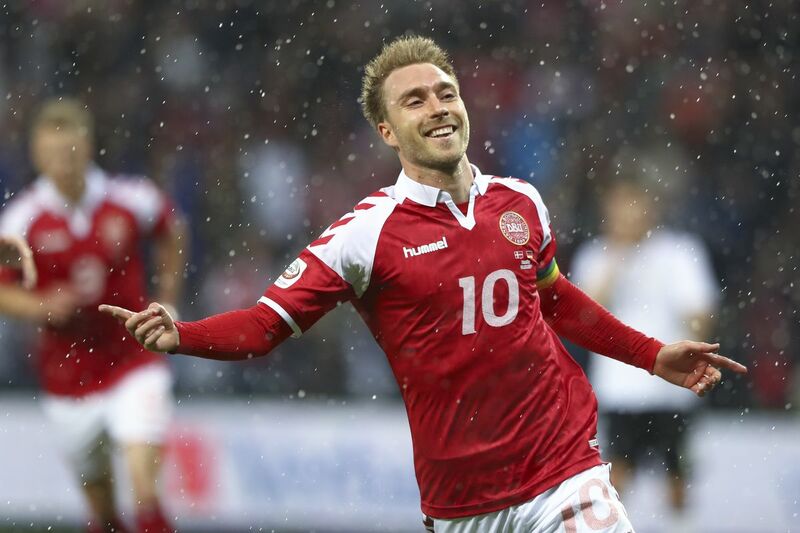 But, what the Danish lack in goals in the final third, they do have Tottenham’s Christian Eriksen, their playmaker in midfield, who can influence the game with a set piece or simply with so much as with a flick of the ball, to open up gaps in any defence. Plus, the Danes have the son of the greatest goalkeeper ever in between the sticks, Kasper Schmeichel, so they’re definitely assured at the back. Lately Denmark looked thoroughly unimpressive with their 0-0 against Sweden, but did beat Mexico 2-0 only six days ago, whereas Peru also drew 0-0 against Sweden, on that same date. In quite possibly one of the most interesting matches of the day, we have Argentina v Iceland kicking off at 14:00 (GMT) or 15:00 (CEST), with Lionel Messi desperate to perform for his country, after being criticised for previous World Cup performances. Whilst Iceland’s spirit and determination could unsettle the Argentinians in their first ever World Cup match. We can all remember at EURO 2016 when Iceland shocked England by eliminating them in the knockout stage. Iceland have improved a lot since then, and they will be pumped up for this game and are a more difficult side to play against than people will realise, with their star player playmaker Gylfi Sigurdsson, ready to shock Argentina if he’s ever given the chance. Argentina come into the tournament, with omissions such as first choice goalkeeper Sergio Romero being ruled out along with West Ham midfielder Manuel Lanzini. Willie Caballero will be first choice goalkeeper, and Christian Pavon looks to take Lanzini’s place in the side. Argentina, with a frontline of Sergio Aguero, Angel Di Maria and Leo Messi, they really have the potential to be World Cup winners, but with a shaky qualification process behind them, plus the 6-1 loss in a friendly match to Spain occurring only in March, then one wonders if it will really be the “Argies” year, after all? In the late match of the day, we have Croatia v Nigeria at 20:00 (GMT) or at 21:00 (CEST), a game which will surely favour the strong team sheet of the nation of Croatia, with more underrated players than you would even care to know about. Yes, Croatia have long been considered the dark horse for numerous tournaments since Euro ’96 in England, where the likes of Davor Suker, Zvonimir Boban and Robert Prosinecki became household names in red checkered shirts. However, their current generation is still mighty strong, with the likes of Luca Modric, Mateo Kovacic, Ivan Rakitic and Ivan Perisic, which would probably just walk in casually and make up the best midfield in the World Cup tournament, hands down! But, apart from Mario Mandzukic and the modest emergence of Nikola Kalinic and Adrej Kamaric, Croatia are very much a real star striker away from being any sort of serious World Cup winning contenders. Sorry, Croatia! Oh, but we surely do bet, that all Croats would’ve wished that Davor Suker was born twenty years later at this rate,but no such luck, eh? As for Nigeria, this is quite clearly the best Nigeria team since the USA World Cup in 1994, where Daniel Amokachi, JJ Okocha and Sunday Oliseh became the talk of every football playing kid in the whole wide world, whether the kid was white, black or even orange, they all wanted to play and be a Super Eagle, just like their newfound heroes of the Nigerian national team. 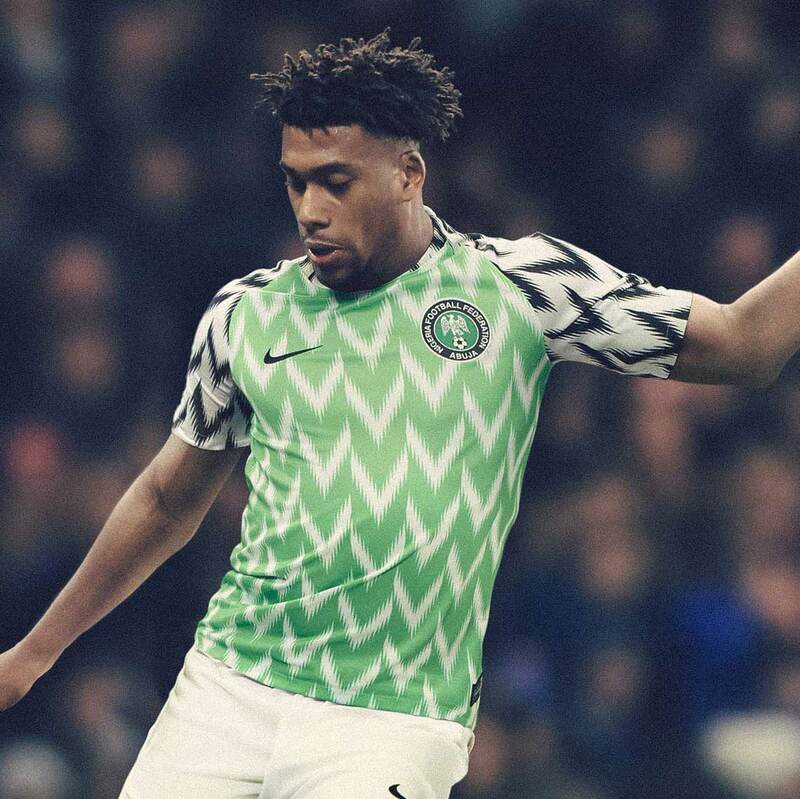 So isn’t it befitting that the current Nigeria Nike team kit is partly inspired by the 1994 team, a kit that sold out at Nike Town in Oxford Circus on the first day of sales. But fast forward to 2018, and this squad has the potential to be even better, but to make legends and superstars you need magic and moreover you need guts, not just Nike kits. But, this Nigeria team has a bevy of strikers like Ahmed Musa, Kelehci Iheanacho and Odion Ighalo, who are all contracted to Premier League sides, with more than the potential to make their mark in the World Cup. Then look to the midfield, with experienced midfielder anchor man, John Obi Mikel, plus new found talents such as Leicester anchor man Wilfred Ndidi, to the sometimes social media chastised young talent of Arsenal, in Alex Iwobi, completing an essential overview of the plenitude of talents of Nigeria’s current team. But, with all the many talents in midfield and in attack, Nigeria lack the discipline in their defence and in overall temperament, which coincides with the World Cup history of African nations, regrettably. Alas, what will happen between Croatia and Nigeria? We predict a free flowing and a high scoring game, with Nigeria susceptible to leaking in quite a few goals. So, let’s enjoy this football feast today and please do use our predictions as only guides, since if you use it as gospel, clearly you know nothing about predictions or betting, since one truly never knows what can happen. But do keep coming back for more insight as we cover the 2018 World Cup in Russia, wherever possible in a very unique Brainstain way.